While working on my current project involving the hood effects, I knew I had to make this for the Apocalypse theme. I present a new hood effect: Fire! It can be found in the "Effects" section of the hood decor. This effect can be placed within/over lots and the road to give that warm, cozy glow that only the resulting chaos of complete social destruction from an Apocalypse can offer. You can create bigger fires by placing several together. I have a nice burning car, dumpster, and building in my screenshot, but you can also use them with the rising smoke effect in the forest for a nice forest fire or campfire/bonfire. Be creative! Now keep in mind, this is purely for decoration. Nothing is actually being burned. 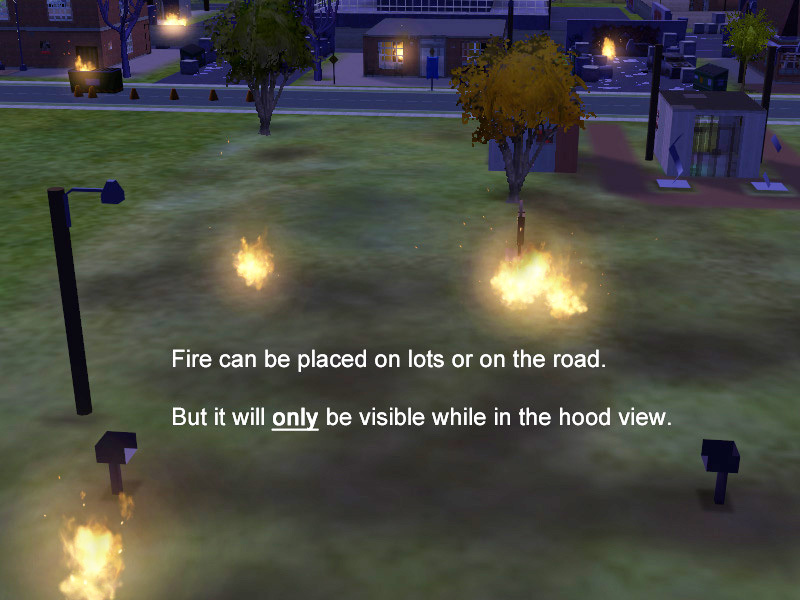 Like the other hood decor effects, the flames will not be visible when you are inside a lot. The flames are only visible while in the hood view. That said, this can easily be used in conjunction with Sophie-David's Apocalyptic Effects to keep flames from seemingly extinguishing themselves when you exit the lot. 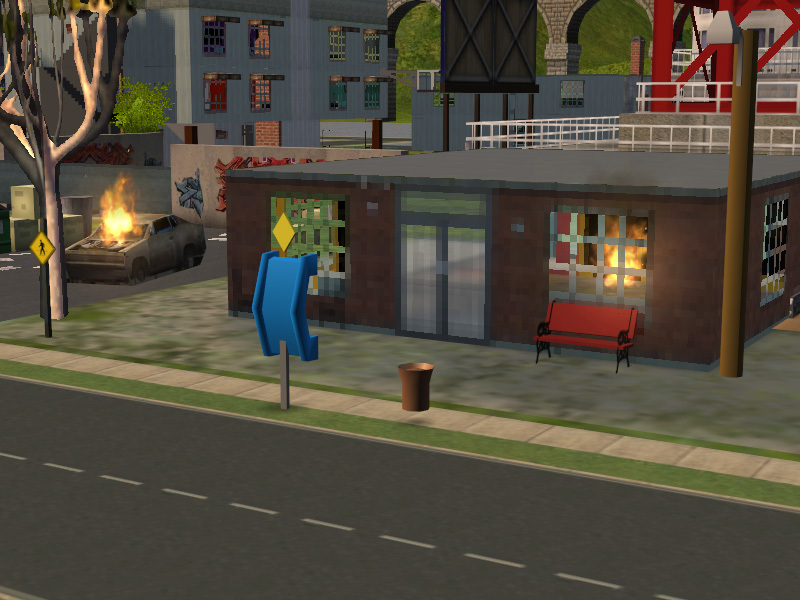 Also, check out the Related Pages for links to more content, such as psychosim0's burned ruins. I have not see any ill effects from my tests, but try not to go overboard with having too many placed as this can lead to performance issues. Sadly, there is no thumbnail in the catalog for reasons I'm still trying to figure out. There should be no EP requirement.